Oval NASCAR NASCAR Cup Series Is NASCAR for sale? In what aspect would it be for sale? Many alternative options have surfaced. One is to sell ownership of NASCAR to the racing teams. Teams have already unified with the creation of the Race Team Alliance. The RTA is an organization that places all the major team owners in the same room to guide the direction of the sport. Collectively, they help shape many rule changes and overall changes, presenting them to NASCAR. In other words, I don’t see a reason the RTA would want to own the sport when they already have control and influence in numbers. That option doesn’t make much sense to me. An alternative scenario, discussed by track president Humphy Wheeler is the possibility of a public offering. This makes far more sense to me, specifically from a dollar figure. It would likely keep the France family involved, not in a private ownership way, but via seats on the board. “Right now, the thing that would vault this entity we know as NASCAR to an investor, is growth. Is Wall Street ready for this? Yes,” Wheeler answered his own question. How much is NASCAR worth? Given it’s a privately held company, that’s almost impossible to say. Though, you can compare the recent sale of F1 and the value of other major sports teams, to get a ballpark idea. In 2016, Liberty Media, an American based company purchased F1. In the announcement of the sale, the company was listed with a value of $8.0 billion. For comparison’s sake, the Dallas Cowboy’s are valued at $4.8 billion. The NFL is widely considered the biggest sports business in America. In 2016, the average NHL team was worth $505 million according to Forbes Magazine. Also in 2016, Forbes listed the average value of an MLB team at $1.2 billion. Many might be led to believe that Brian France is the majority owner of the sporting organization. However, court documents from 2007 would tell a different story. Brian France and his ew-wife separated in December 2007. In the court documents, there was no listing of NASCAR ownership or assets. Instead, it listed that NASCAR was solely owned by Brian uncle, Jim France, and his sister, Lesa France Kennedy. Jim France is turned 73-years-old in October. In 2005, Brian France himself listed assets of $554 million and loans of $26 million, court documents showed. In addition, he earned $9.05 million in 2004 as NASCAR Chairman and CEO. President: Something important to note is that Brian France removed himself or was removed from the role of NASCAR president during the 2017 season. He’s still active in the sport, remaining with the role of CEO. However, the new NASCAR president Brent Dewar might be seen more as the face of NASCAR these days. He took the role of NASCAR President back in July 2017. Panthers: Brian France was also linked to rumors of interest in the Carolina Panthers NFL team. NASCAR admittedly denied those claims. Sponsorship: As of now, Monster Energy has not renewed their entitlement sponsorship for 2019. They haven’t said they won’t. But, they’re still considering their options. 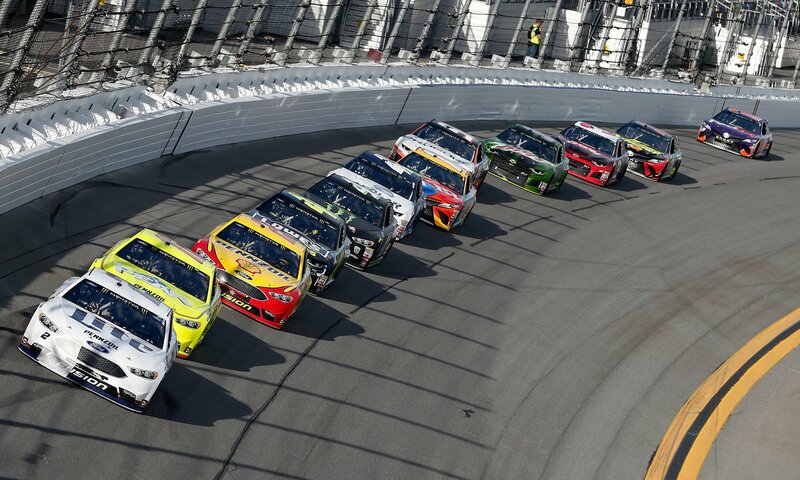 Decline: NASCAR has be re-defined in recent years. Stage racing, playoffs, the level playing field, new faces of rookie drivers, the retirement of the 15 time most popular driver have brought a facelift to the sport. 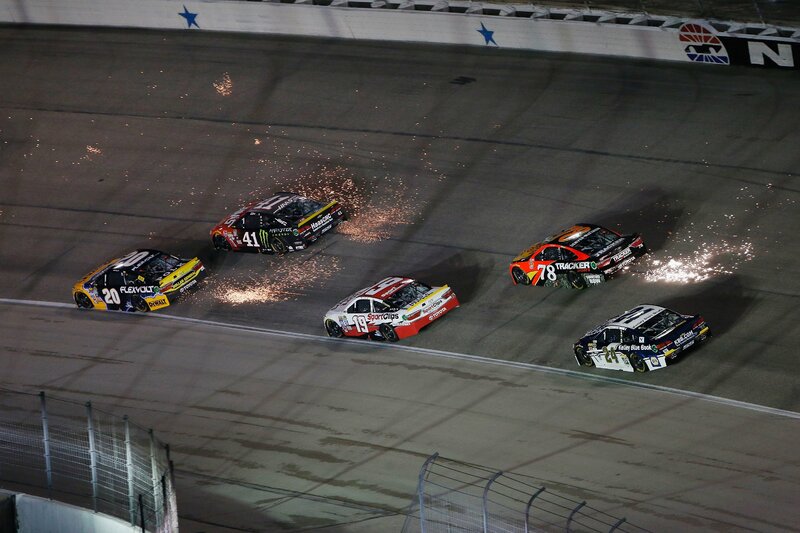 It’s a totally different NASCAR. These changes have also brought in a new fan base, leaving the old to the side. The decline in viewership, the decline in attendance and many other factors above all lead me to believe that the rumors have a hint of truth to them and the France family might be considering the option of throwing in the towel. NASCAR is a small community. These days, rumors spread quicker than ever. In a lot of cases, the rumors quickly turn into facts. In addition to the sport itself, the France family also operates on the board for the International Speedway Corporation. They own 12 NASCAR tracks on the circuit. That organization is already publicly traded company with 2017 income of $110.8 million.